This is a recent horse portrait commision. 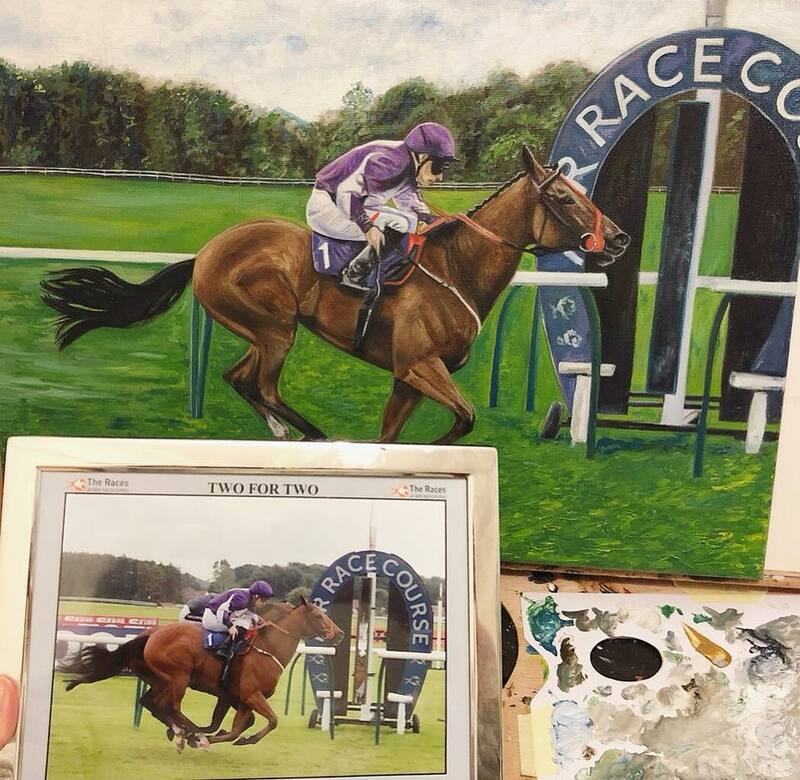 The owner of the racehorse Two For Two commissioned me to paint the winning racehorse crossing the finish line. They sent me a small photo of the horse in the frame and asked me to clean up the image. I took out the advertising banners and the other horse behind him. I painted him on a raw linen canvas so that it would have a lovely texture to the painting. The painting took me about 2-3 weeks from start to finish and it was my first racehorse. I really loved painting him and happy that the owner is over the moon with the final painting.